It’s common for high street lenders to decline mortgage applications if the applicant is self-employed and only has accounts for one year. Prior to the credit crunch, self-employed borrowers were able to ‘self-certify’ their mortgages. Self-certifications were only designed to be used in certain circumstances, however were used a lot more than anticipated. Self-certified mortgages are said to be one of a number of reasons the economy collapsed. Fast forward to 2018 and lenders are extremely careful when assessing mortgage applications from self-employed borrowers. The majority of lenders will require self-employed borrowers to have at least three years accounts. This is because accounts for three years provide lenders with insight into your business and whether they deem the income stable enough to meet mortgage repayments. Self-employed applicants with three years accounts often have access to the same mortgage products as employed applicants. There are fewer lenders that consider self-employed mortgages with 2 years accounts. The more financial history, the better! Getting a self-employed mortgage with 1 year accounts will more than likely require a specialist lender. You may also need an expert advisor to place your mortgage as it certainly isn’t an easy task. Will the nature of my business affect my mortgage? Lenders usually look at the accounts related only to your business. This is to assess the affordability of the mortgage you’re applying for. A lender’s assessment is all based on risk. Proving your business is generating a sustainable income is more important than the nature of your business. It’s very rare that lenders will favour one business over another due to business type. So the answer is no, the nature of your business won’t affect your mortgage. How much can I borrow with 1 year accounts? Please note: A self-employed mortgage with 1 year accounts will more than likely need a specialist lender. As a result, the information in this section relates to specialist lenders and not mainstream lenders. Self-employed applicants can generally borrow up to 5x net income. As self-employed accounts may not provide an accurate projection of your finances, specialist lenders may consider your current figures in addition to your filed accounts. For example, you may have been trading for eighteen months. In this case, specialist lenders may assess your income based on accounts for 1 year and the net income for the additional six months. This is common when your current income is considerably more than what your filed accounts show. Underwriters may request an accountant’s projection of your business income. This then helps lenders to project your affordability. What figure is used to calculate my income? Lenders generally assess affordability on the value of net income. Assessments on mortgages for directors are based on director salaries and dividends (if taken). Some lenders may also consider retained company profits in certain circumstances. What proof will lenders require? Lenders will always request your SA302 forms. SA302 forms can be downloaded online from the HMRC portal or requested via post (which can take up to 14 days). Other lenders may request further proof, such as your finalised accounts or at least a qualified accountant’s reference. 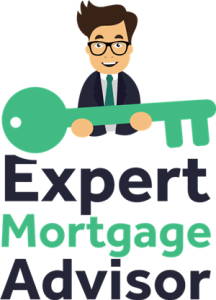 Expert mortgage advisor has access to the whole market. 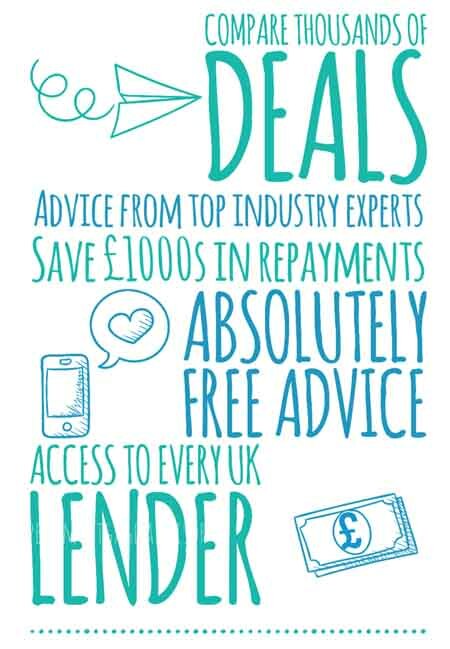 We work with high street lenders, mainstream and specialist lenders also. Every lender, including specialist lenders are all registered and regulated by the Financial Conduct Authority (FCA). It’s important to remember that specialist lenders are designed for the really tricky mortgages and are as credible as any other lenders available. Although every situation is unique, it is possible to get a self-employed mortgage with 1 years accounts and bad credit. You will of course be restricted in the market, however having the right advisor placing your application with the correct lender is vital. The chances are you will need a deposit of at least 15% with minor adverse credit issues. You may require a higher deposit for more severe credit issues. Attempting to obtain a bad credit mortgage with accounts for one year will likely mean that your mortgage rates will be higher than average. Specialist lenders may also charge you higher fees in order to minimise their risk. If you’re approved a mortgage, you can repair your credit with time. Once your credit is repaired, you can then remortgage to a much lower rate. As every case is different, we’d highly advise you to speak to a bad credit mortgage broker. This will enable the broker to assess your case and let you know the honest likelihood of you being approved for a mortgage. Read more: What is a bad credit mortgage broker? A remortgage is very similar to obtaining a new mortgage, as in theory that’s exactly what you’re doing. The information in this post can also be related to a self-employed remortgage with one year’s accounts. The main difference when remortgaging whilst self-employed is that lenders will assess if you have equity in your property. Equity is needed in order to remortgage, especially if you want to release equity. A track record of making repayments on time can also show lenders that you’re in control of your finances. Remortgaging can be easier for these reasons. Still unsure about self-employed mortgages? If you need a self-employed mortgage with 1 year accounts and are still unsure about what to do next, our expert mortgage advisors can help answer any questions you may have. You can make a quick enquiry and an expert advisor will contact you as soon as possible.